Agate Fossil Beds National Monument, Nebraska. 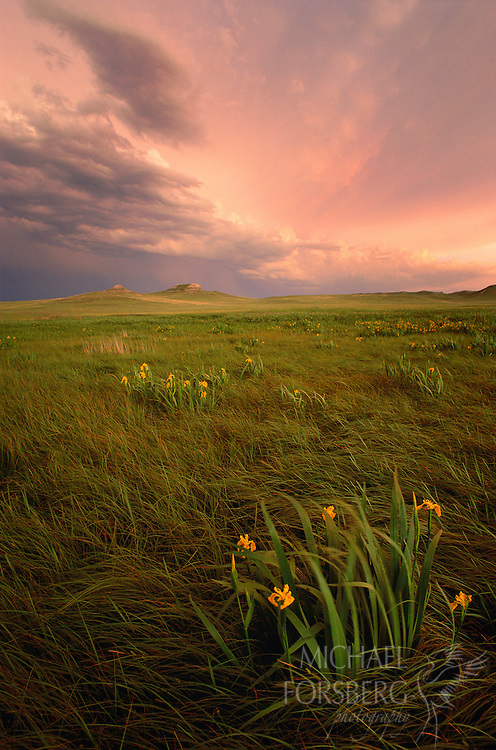 With yellow irises in the foreground, Carnegie and University hills glow in the last light of day after a passing summer thunderstorm brings respite from the heat. Located in the Nebraska panhandle, the Agate fossil beds pictured here have yielded tons of artifacts shedding new light on ancient species of plants and animals.